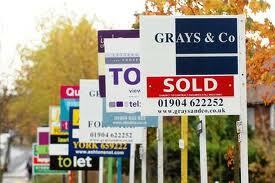 House prices in England are rising back to pre-recession levels – with a 0.3 per cent increase within the past month. New figures released by Hometrack, the property analytics business, show properties in London leading the way on price rises with a 0.7 per cent increase in April. Areas such as Oxfordshire and Cambridgeshire have not been far behind, with increases of 0.5 per cent and 0.4 per cent respectively. The north-east of England is the only region to see a recent fall in house prices. Hometrack said the market is being driven by improving consumer confidence, an increasing number of new buyers and a shortage of homes for sale. House sellers are getting an average of 93 per cent of their asking prices, with the figure hitting 95 per cent in the south-east. In April, new buyer registrations climbed 3.1 per cent nationally, at a slightly slower pace to the 4.6 per cent increase in March. In comparison, the level of new homes coming onto market increased by just 2.8 per cent. Hometrack said this is the third consecutive month that supply had not kept pace with demand. This entry was posted in New homes update, News and tagged House prices, house sellers, new buyers, New homes. Bookmark the permalink.